Here is a set of 10 visual recipes created by illustrator Katie Shelly. She warns that "The following recipes are not intended as precise culinary blueprints. Instead they are meant to inspire Experimentation, Improvisation and Play in the Kitchen." 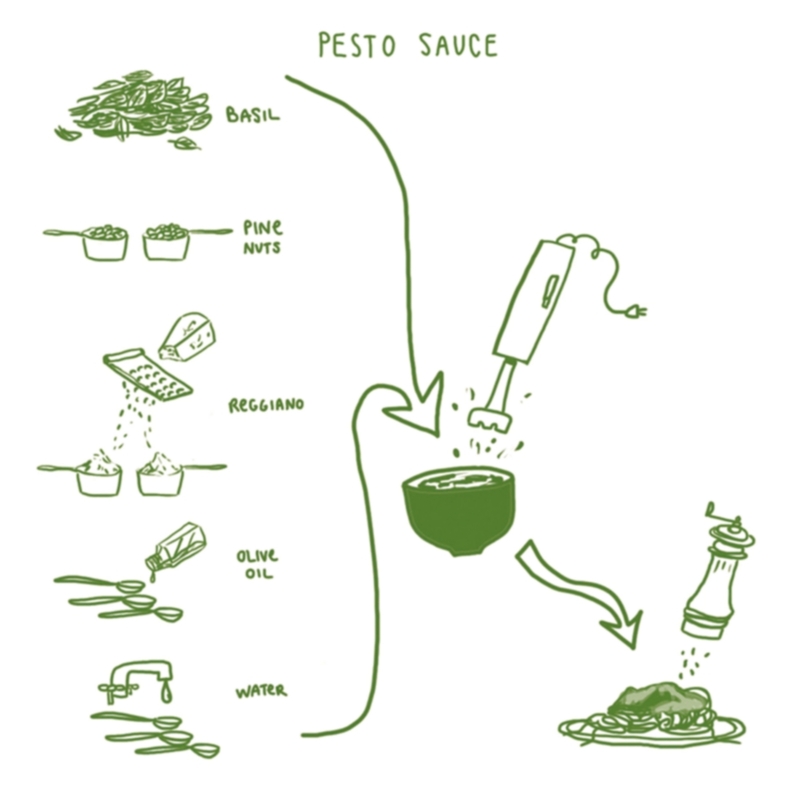 The example below is for Pesto Sauce.